Due to constant rain and bad weather, the second T20 match played in Melbourne was canceled. The Indian team could not get the chance of batting. In this series of three T-20 matches, Australia have a 1-0 lead. Now the third and final match of the series will be played in Sydney on Sunday. The match had to be stopped for the first time, when the Australian team batted first with 132 runs in 7 overs in 19 overs. After the rain stopped, the match was reduced to 19 overs and on the basis of Duckworth-Lewis, India got the target of 137 runs in 19 overs. In reply, whenever the Indian team rained down to bat, it would rain like every dam villain. Later the match was reduced to 11 overs and India got the target of 90 runs. Once again when the Indian batsmen reached the ground, the rain started again. Now match 5 over and target 46 were played. But seeing the rain uninterrupted, the official information was finally canceled. Till the start of the rain, the side of Team India was huge. Indian bowlers today performed well. Bhuvneshwar Kumar and Khalil Ahmed took 2 wickets Khalil Ahmed, however, gave away 39 runs in 4 overs. Bumrah took 20 wickets in 4 overs and took 1 wicket. Kuldeep Yadav got one wicket by giving 23 runs. Kunal Pandya also gave his name for 26 runs and took 1 wicket. Ben McDermott for Australia 32 * and Andrew Tai made an unbeaten 12 * Aussie team started to bat after losing the toss and it was a very bad start. Within six overs, the Indian team returned the dagget to veterans such as Finch, Lean and Darcy Short. In the 10 overs, the host team managed to make 54 runs. 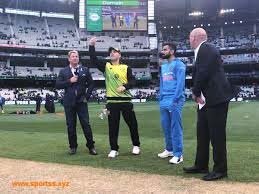 On the second ball of the first over, Bhuvneshwar Kumar got the captain Aaron Finch caught by Rashabh Pant at the score of zero on the score of zero. After that, Khilil Ahmed was a victim of Christian Lynn's 13 coming to bat. 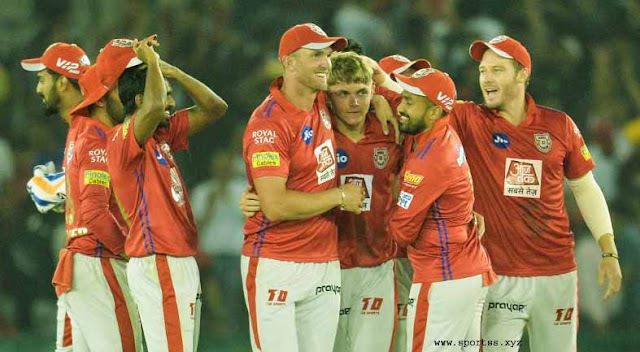 Jaspreet Bumrah hit Mark Stones (4) in the hands of Dinesh Karthik and the Australian innings got lost due to losing the fourth wicket. Australia had been justified that the Kundal Pandya gave a fifth blow to the Australian team when they bowled Glenn Maxwell. Maxwell was dismissed by 19 runs and the Kangaroo team lost 5 wickets for 62 runs in 11 overs. Wicketkeeper Alex Carrie failed to prove himself. Kuldeep Yadav got trapped in his spin and handed it over to Krupal Pandya. Australia: Aaron Finch (captain), Darcy Short, Christian Lynn, Glenn Maxwell, Mark Stones, Ben McTermott, Alex Carrie (Wicketkeeper), Andrew Tai, Jeison Behringroff, Coulter Nel, Edam Jampa.